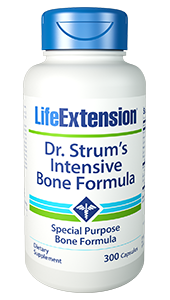 Life Extension Dr. Strums Intensive Bone Formula provides ultra-potent nutritional support for bone health. 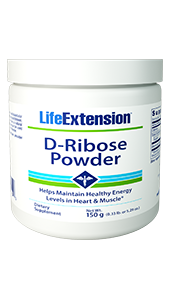 Provides a powerful mix of bone healthy nutrients including potassium citrate, cissus quadrangularis, DimaCal, Vitamin D3 and Vitamin K.
Strong bones are essential for an active, healthy lifestyle, especially as you age. Unfortunately, hormonal changes and other age-related factors in an inevitable loss and degradation of bone tissue – unless you take proactive steps to support bone health. Extracts of the Ayurvedic herb Cissus quadrangularis – scientific research indicates it possesses potent bone health-promoting properties, including support for bone generation, healing, and strengthening capabilities.56-58 Very few formulas contain this plant-based bone defender. DimaCal® – a patented form of calcium that exhibits significantly better absorption than other calcium supplement options.59. Vitamin D3 – the optimally bioactive form of vitamin D.
Vitamin K – long acting form essential to transport calcium from the bloodstream into the bone.60-62 Working together with vitamin D, it helps maintain youthful calcium musculoskeletal distribution throughout the body. 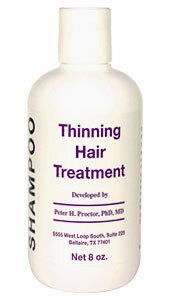 Magnesium and Zinc – the citrate forms for exceptional bioavailability. Boron and Silica – to support the bone matrix as it undergoes already-normal growth and turnover. 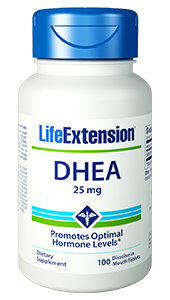 Take three capsules in the morning, three capsules in the afternoon, and four capsules in the evening daily with meals, or as recommended by a healthcare practitioner. Individuals consuming more than 2,000 IU/day of vitamin D (from diet and supplements) should obtain a serum 25-hydroxy vitamin D measurement. Do not exceed 10,000 IU per day unless recommended by your healthcare provider. This product is not recommended for individuals with high calcium or potassium levels. Because potassium may have numerous drug interactions (most commonly, diuretics and blood pressure medications), consult your healthcare provider before taking this product if you are taking prescription medications and/or have heart or kidney disease. Due to the vitamin K, consult your healthcare provider before taking this product if you are taking anti-platelet or anti-coagulant medications, or have a bleeding disorder. 52. J Am Soc Nephrol. 2006 Oct;17:3213-22. 53. J Urol. 2002 July;168:31-4. 55. J Clin Endo & Meta. 2002 May;87(5):2008-12. 56. Chang Jung Med J. 2010 May-June;33(3):252-7. 57. In Vitro Cell Div Bio Anim. 2009 Mar-Apr:45(3-4):194-200. 58. J Int Acad Periodontol. 2008 Apr;10(2):59-65. 59. Albion Laboratories, Inc. Internal study. 61. J Am Coll Nutr. 1992 Oct;11(5):567-83. 62. Calcif Tissue Int. 1996 Nov;59(5):352-6.